This profile fits most divorces. Your spouse is in the picture and cares about how things will end up, but you’re having some trouble (or you expect to) with discussing and settling terms—that is, you can’t agree on how to divide property and debts, how much spousal support will be paid, if any, and how children will be supported and parented. The reason divorce agreements are difficult is almost always personal—bad communication, bad history, bad habits, etc—and almost never about the law. Neither the law nor lawyers have any tools to help you settle problems that originate in your personal relationship. You do not want to try to settle your disagreements in court. Your goal is to solve problems and settle issues without taking problems to court or hiring an attorney to represent you and “take” your case. Your goal is to end up with an Easy Case or, if your case is already easy, to keep it that way. Read my article, The Good Divorce, so you will have a model to keep in mind and a clear idea of things you can try to accomplish to make (or keep) your divorce peaceful. Get my free Divorce Checklist and start working on those items. California. 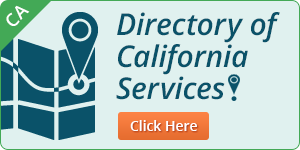 If your case is in California, get How to Do Your Own Divorce in California and read a summary of California divorce laws, decisions you need to make and advice about how to make them. It includes step-by-step instructions for the paperwork to get your judgment with all the forms you’ll need to do it. Texas. If your case is in Texas, get How to Do Your Own Divorce in Texas, which has the same sort of content described above, but specific to Texas. All other states. Go to the Reading Room and read my two articles: How to Do Your Own Divorce, and How to Learn About the Law in Your State. Get organized. As soon as you can, organize your facts, gather supporting documents. Start thinking about how to divide marital property, how much spousal support should be paid (if any), and how children will be supported and parented after separation or divorce. I created a set of Divorce Worksheets that will help you organize, think about and discuss the facts and finances in your case. Working with them will give you greater confidence in dealing with your divorce and will definitely save you time and money. These same worksheets come free with my How to Do Your Own Divorce books, or Make Any Divorce Better or you can get them separately. Best not to talk to your spouse about divorce until you learn how to communicate in a way that will help reduce conflict, create a foundation for negotiation, and how to negotiate effectively. Best not go to an attorney until you are informed and prepared—unless, that is, you face an emergency. Read What’s an emergency? Before you visit an attorney, you want to have already organized your facts and documents and know what kind of attorney you want to choose, what questions you want to ask, and what you can and cannot expect from an attorney. To learn about various types of attorneys and other professional divorce services, read my free article Who Can I Call? You do not want to try to settle your disagreements in court—unless you have an emergency situation, that’s the worst thing you can do. Read What’s an emergency? Your goal is to take specific steps that will make your case smoother and easier, to turn it into an Easy Divorce so you can make a written agreement and do the paperwork yourself or get it done inexpensively. There are a lot of things you can do for yourself to make things better, steps that have helped tens of thousands of couples, so they can help you, too. My goal is to show you how to solve the problems of a difficult divorce without taking them to court, and help you turn it into an Easy Divorce. Here are tools to help you. In addition to the common solutions covered above, here are tools to help you turn a difficult case into an easy one and make sure it stays easy. A written settlement agreement is essential in your case. The sample agreements that come with How to Do Your Own Divorce and Make Any Divorce Better are not ideal for dealing with major assets, but DealMaker software is. It helps you create a parenting plan and is especially useful for dealing with the many possible options for real estate and retirement funds. DealMaker takes your information, asks you to make some decisions, then writes a sophisticated, professional settlement agreement that you can sign as-is or edit with any word processor. If you have trouble working out terms, you don’t need an attorney, you need a mediator. Read Who Can I Call? Collaborative law. If you want to be represented by an attorney, try to get a Collaborative Lawyer on both sides. Read more about this in Who Can I Call? In California, Divorce Helpline does collaborative law as well as mediation and arbitration. Arbitration. If you can’t resolve issues in mediation, consider going to arbitration rather than to court. It is similar in that the arbitrator hears evidence then imposes a decision, but the setting is more informal and an arbitrator is paid by the hour so will take the time needed to understand the facts about your family and situation. A judge has to move cases along quickly, so will tend to hurry through divorce cases and not take the time necessary to understand you and your family situation.